Round-Trip Mileage: 2.50 (My actual mileages showed the the Loop being 2.40 miles, but with a .20 miles approach and return - a total of 2.80 miles. 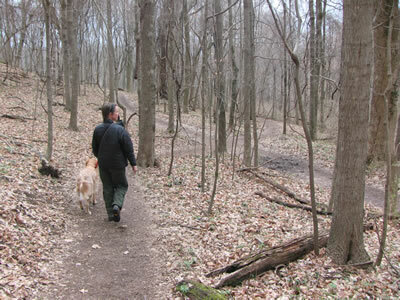 We have walked this trail a number of times. It is a great trail on a good path. Directions: Go Interstate 40 to exit 199. Old Hickory Blvd. Exit and take Old Hickory south - towards Bellevue. Continue straight on Old Hickory for 3.5 miles, until it "T’s" into Highway 100 at a light. Turn left on Highway 100. Deep Well entrance is on the right in a 2.20 miles. It is not signed; but is an ornate entrance. Stay straight on the Park road passing picnic areas. 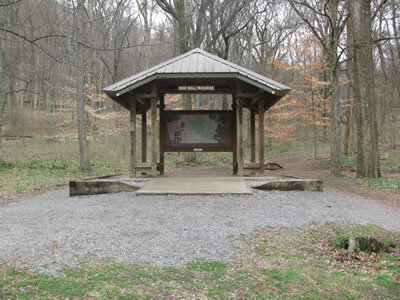 Parking is available at the Trailhead in .60 miles. From the Deep Well Trailhead the trail starts at the kiosk. 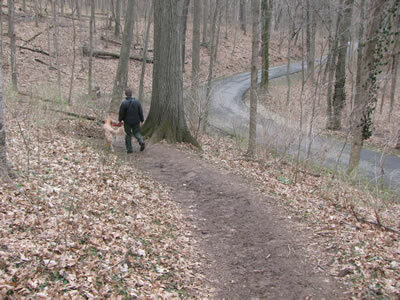 Cross the horse trail and then climb steadily to a tee. 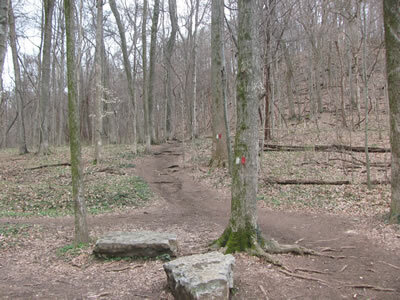 Go left to join the Warner Woods Trail. 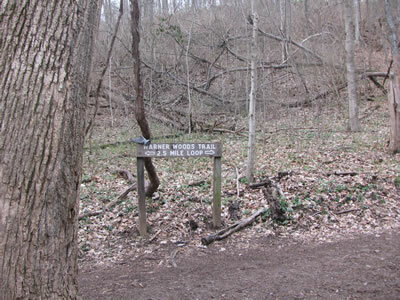 The trail crosses another horse trail and then joins the Warner Woods Loop after .20 miles. 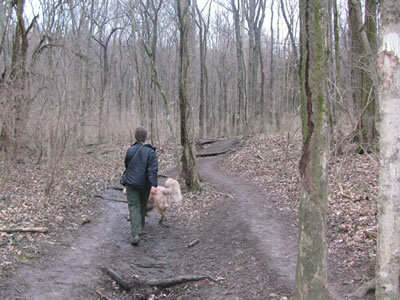 The trail can be traveled in either direction. Going left at the intersection the trail eases along as it contours along the base of a hill. The climb begins soom enough. Climb sharply to gain Farrell Road. The climb is but the distance is short. 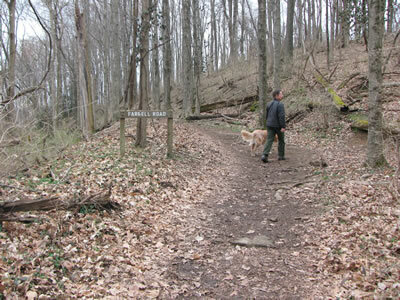 After a short walk on the crest the trail descends, cuts back to the left, and then crosses the horse trail. Gradually descending the trail then crosses the main park road at .65 miles since starting the loop. Descending (can be muddy) from the road, the trail curves right following below the road. 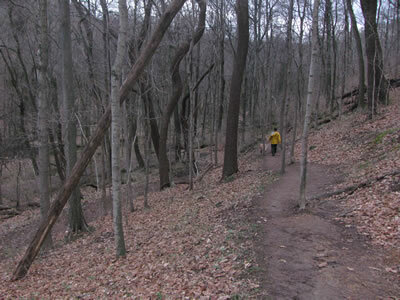 After a few contoured curves, the trail descends almost in a straight line. 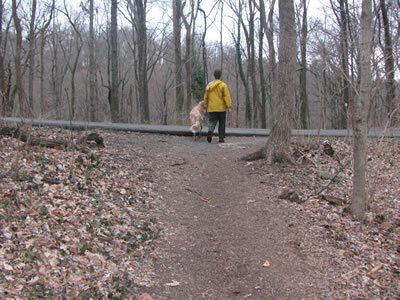 The trail is stepped to help control runoff. 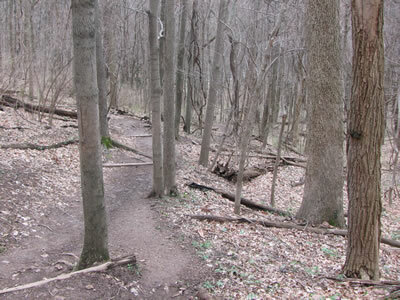 As the trail levels off it stays low in the "Buggy Bottoms" are for __. 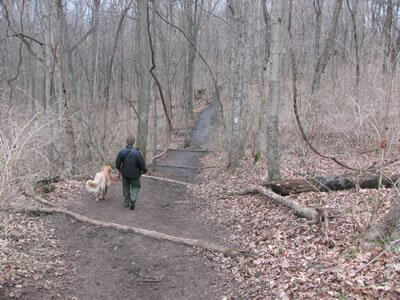 The trail is often wet and muddy. Please stay on the trail. 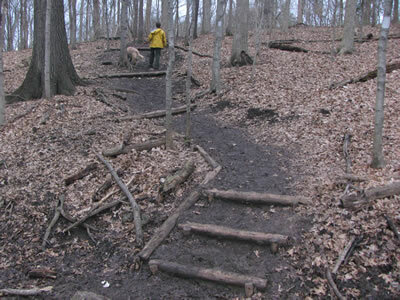 Many mud avoidance trails have sprung up on either side of the main trail. If you do not like the mud, try walking on the road. 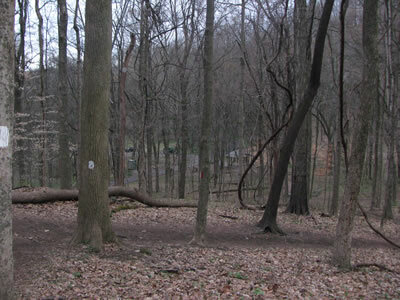 A defined drainage appears on the left and the horse trail is not far off. After crossing the horse trail the trail climbs and crosses the road 1.05 miles from the last road crossing. From the road the trail, contours above the road. 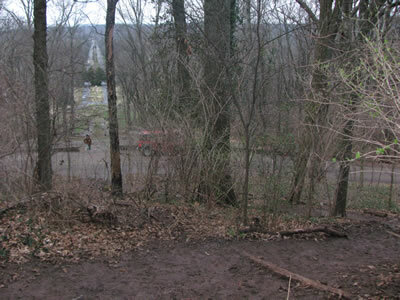 In .15 miles the trail overlooks the terraced entrance (the Allée) of Belle Meade Blvd. It is .20 miles to the base. 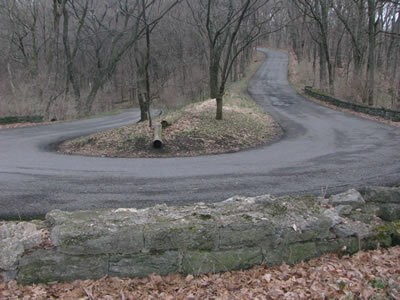 Continuing the trail runs beside the road as it descends into the hairpin curve. The trail makes the corner with the road. Ascend steadidly and cross the road (.40 miles from the Allee Trail) to Lea’s Summit. 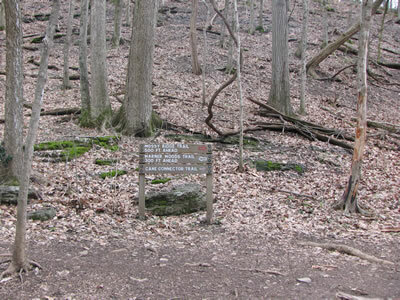 After crossing the road the trail descends .15 miles to return to the start of the loop. Go left and then right to return to the Deep Well Parking Area in .20 miles.